Tory Burch’s fall collection looks amazing! Here’s a few sneak peeks from her runway show during Fashion Week. 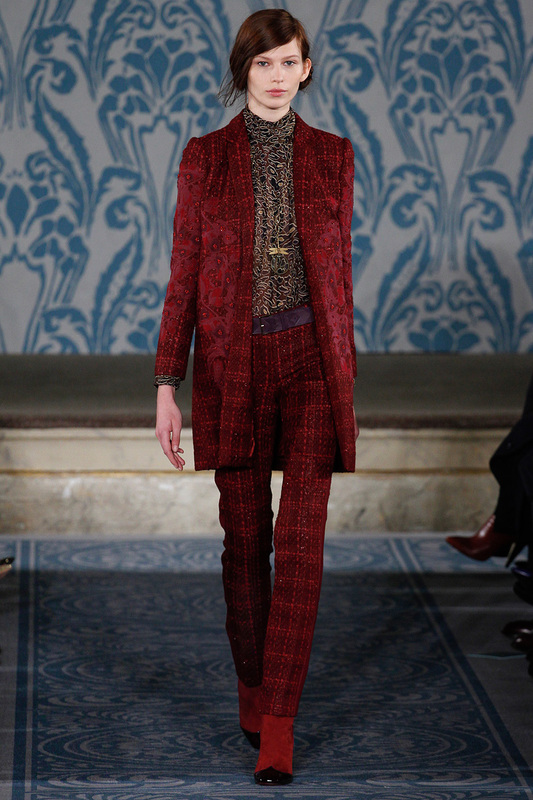 She’s using rich, luxurious fabrics like: velvet, leather, suede and tweed. 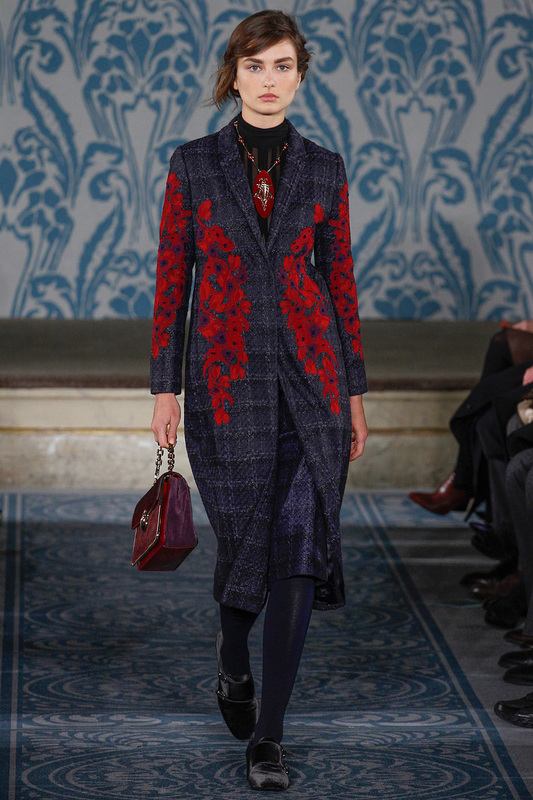 Look for heavy embroidery on outerwear and fur-trimmed details on gloves, cuffs and skirt borders. Statement jewelry is here to stay, so stock up on giant necklaces, earrings and cuffs in mixed metals and jewel tones. There’s lots of layering going on, so be ready to pull out your tights, scarves, and vests, and take your style to “Tory” level. 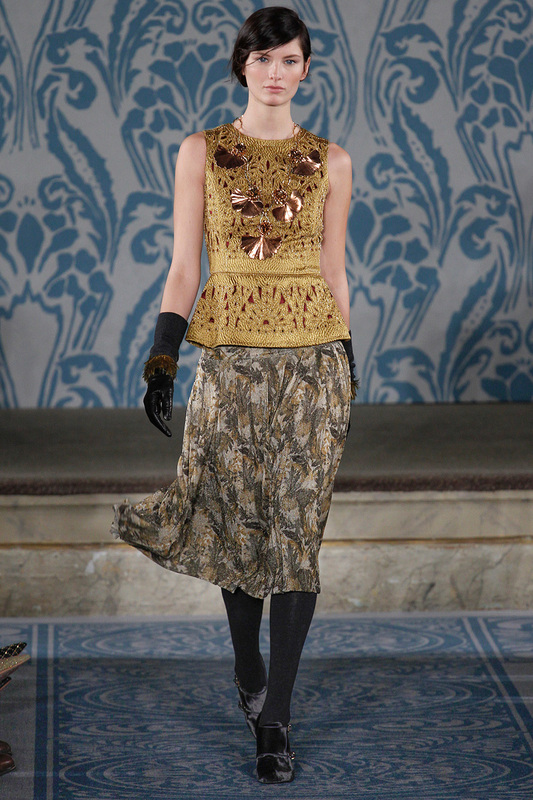 It’s Art Nouveau with a ’70s twist, so don’t be afraid to mix in your lace and brocade pieces too this season. 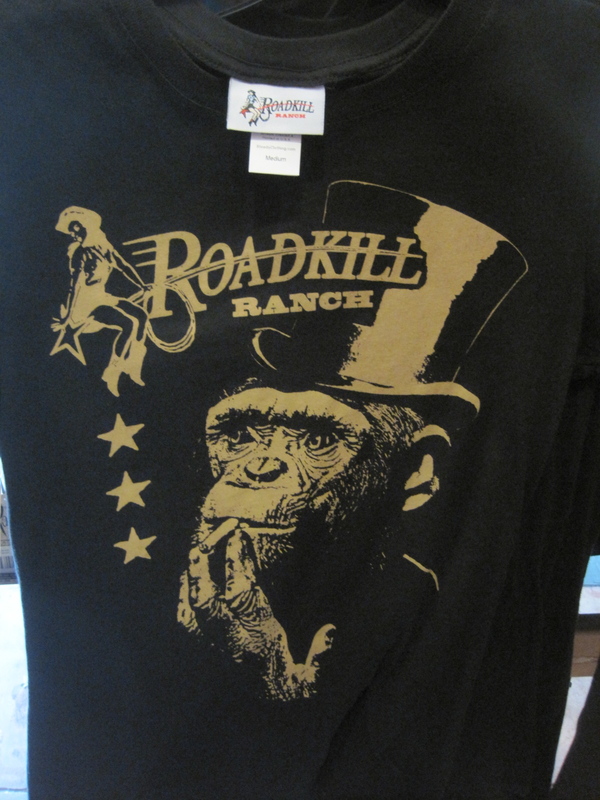 I’m in love with the red suit, only I’d pair it with my monkey smoking Roadkill Ranch T-shirt, some gold chain necklaces and black pointy heels. OMG! I just had a “fashion-gasm”- gotta go!